To cultivate the strong links with industry. To explore and identify common avenues of interaction with industry. 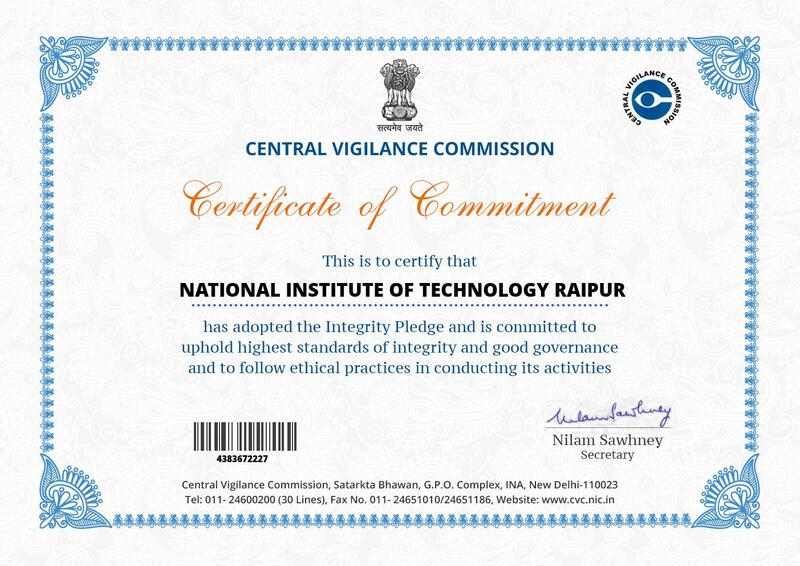 To synchronize the quality of education by continuous advancement of educational programmes. To promote research suited to industry needs, consultancy and other industry –related activities and catalyze the growth of institute-industry collaboration. To integrate industrial training and feedback for the benefit of the students and offer facilities to practicing engineers and professionals for their continuous development. Memoranda of Understanding between the Institute and industries to bring the two sides emotionally and strategically closer. Organizing Workshops, conferences and symposia with joint participation of the faculty and the industries. Encouraging engineers from industry to visit Engineering Institution to deliver lectures. Industrial testing by faculty & technicians at site or in laboratory. Joint research programmes and field studies by faculty and people from industries. Visits of faculty to industry for study and discussions or delivering lectures on subjects of mutual interest. Visits of industry executives and practising engineers to the Institute for seeing research work and laboratories, discussions and delivering lectures on industrial practices, trends and experiences. Human resource development programmes by the faculty for practising engineers. B.Tech. and M.Tech. projects/dissertation work in industries under joint guidance of the faculty and experts from industry. 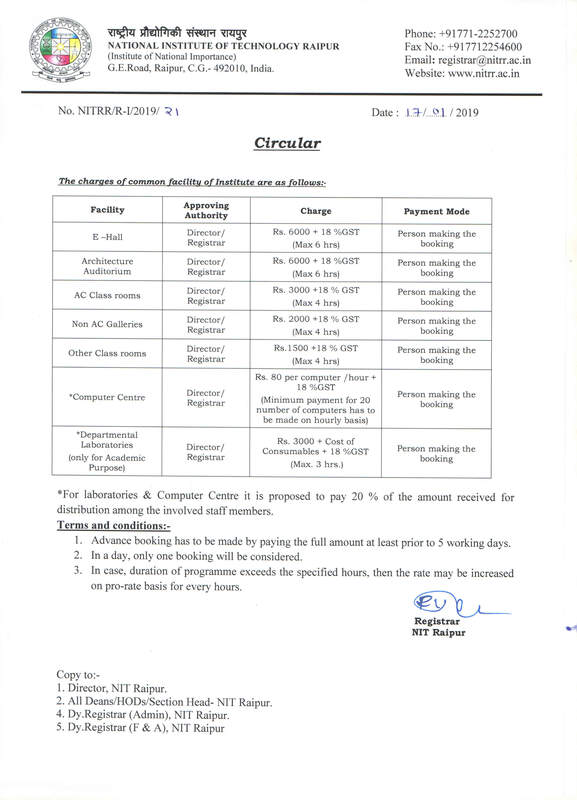 Short-term assignment to faculty members in industries. Professorial Chairs sponsored by industries at the Institute. R&D Laboratories sponsored by industries at the Institute. Practical training of students in industries. 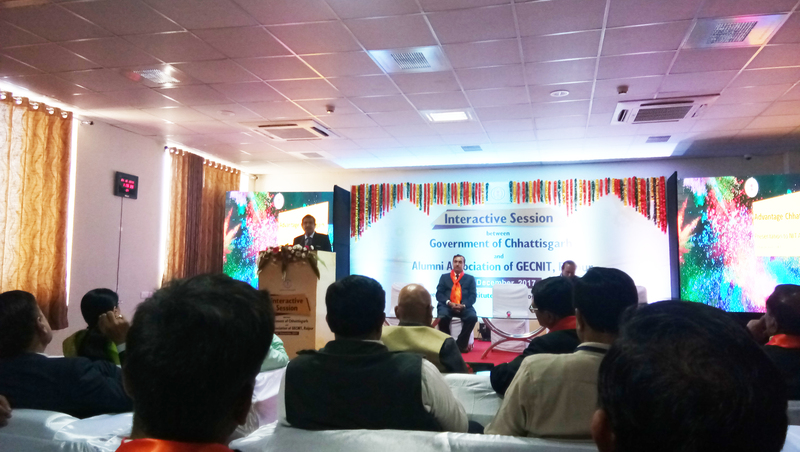 A special interaction session during Global-Alumni meet at NIT Raipur, was organized on 24th Dec., 2017. 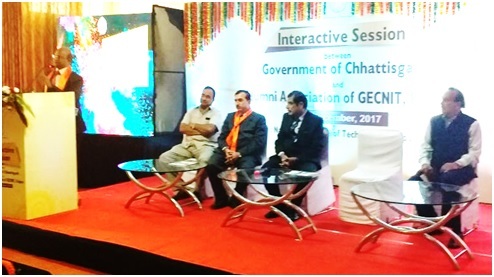 During this session Dr. A. M. Rawani, Director NIT Raipur interacted with alumni, running their own or holding senior positions in industry to explore the synergistic partnership opportunities. The strength of various departments were highlighted and proposal from mutual interactions were invited. 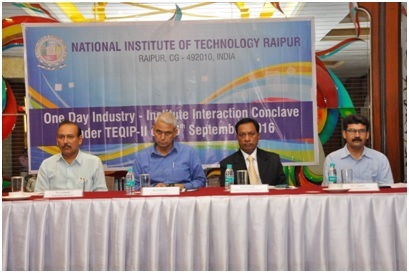 The Industry-Institute Interaction Cell of the Institute released an information brochure ‘Collaboration’ to facilitate it.